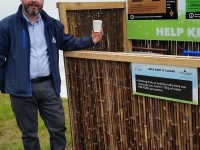 You are here: Home › Blog › Company News › Eco Aware › Events › Bloomin’ brilliant! 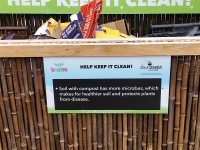 Team Down2Earth are still buzzing after another amazing visit to Bloom in the Park! 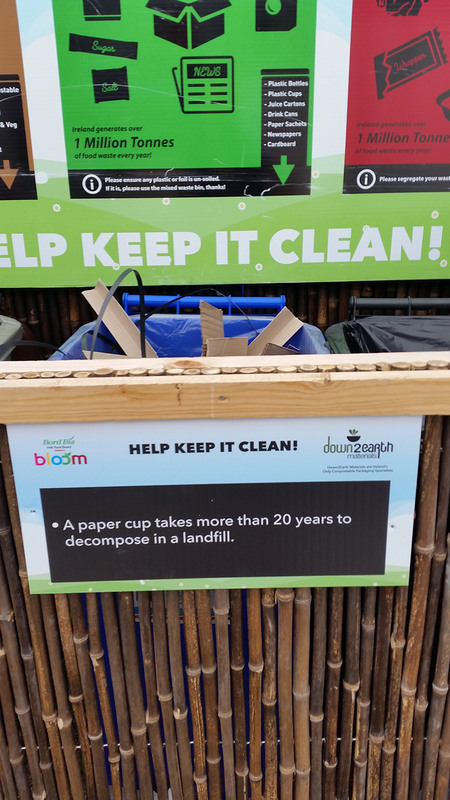 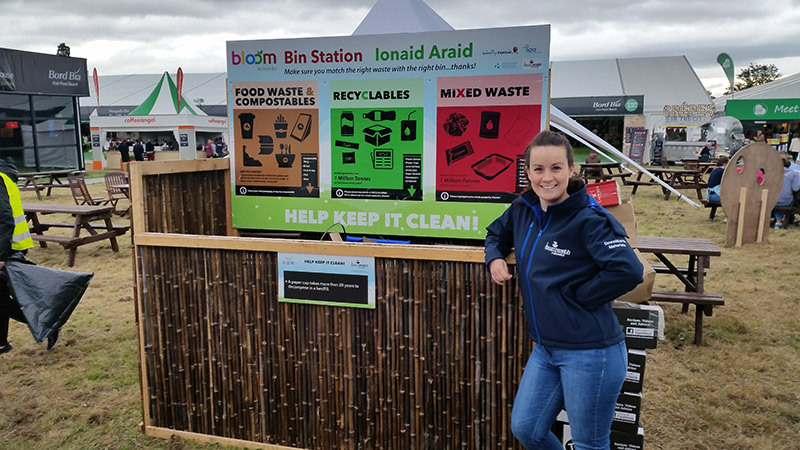 Bord Bia’s Bloom festival has been an entirely compostable event for the last number of years, so it’s right up our street! 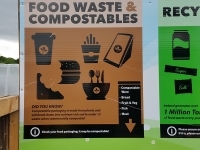 All food vendors are required to solely use compostable packaging, when serving their delicious grub. 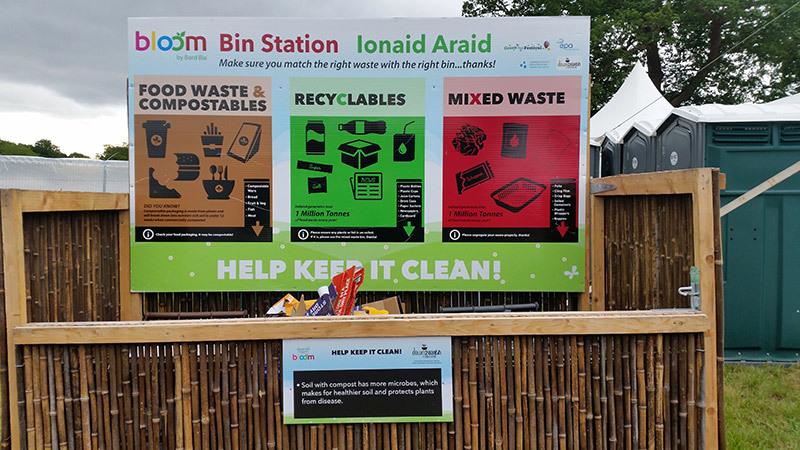 It’s really an amazing initiative, and it just goes to show that all Irish events can easily implement the same changes, reduce their waste and ban single use plastics, just like Bloom has done. 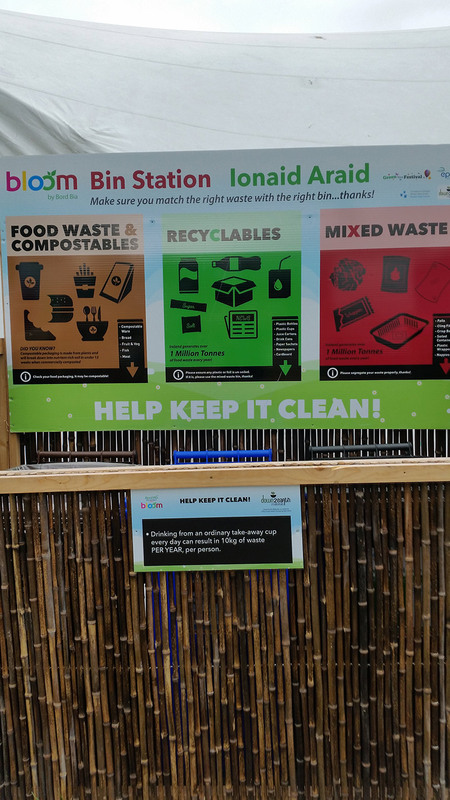 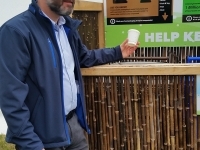 Dedicated compost bins are aplenty at Bloom HQ in Phoenix Park, so members of the public can easily dispose of the compostables correctly, right there on site. 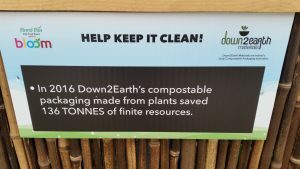 Down2Earth has been the preferred supplier of compostables for the festival, ever since this change has come into place, and it’s something we’re truly proud of. 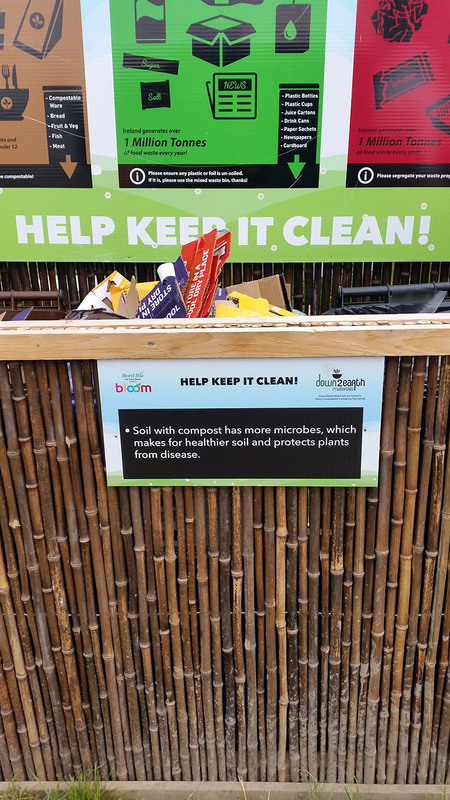 Each year, we head along to check out the amazing show gardens, and of course to spread the gospel according to compostables. 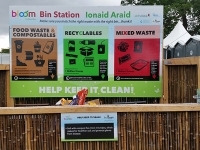 A record number of almost 120,000 people attended the festival in Phoenix Park, over the June bank holiday weekend this year, we knew the footfall would be insane! 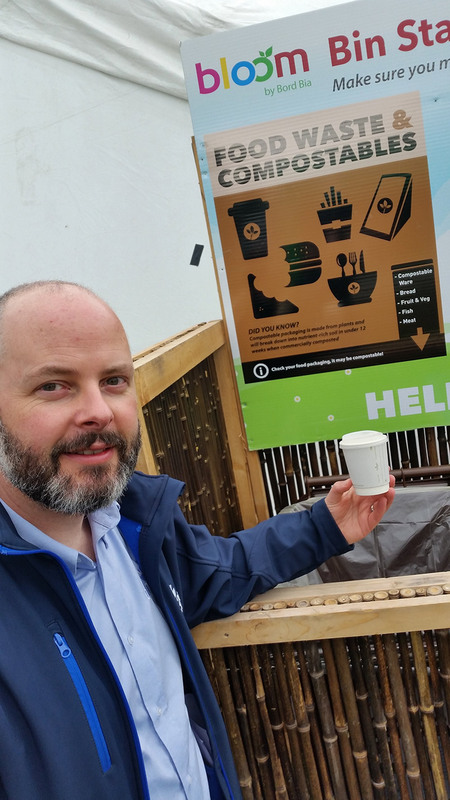 It was a perfect opportunity for us to educate a huge number of people about the existence of compostable, eco-friendly packaging and the choices they can make to help their environment. 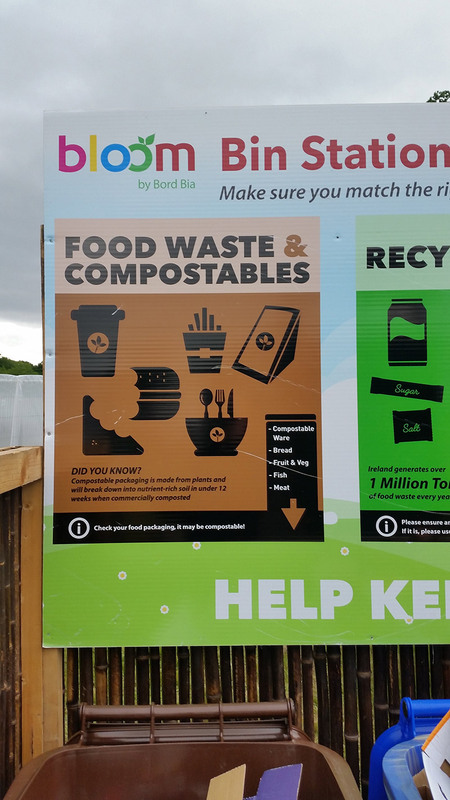 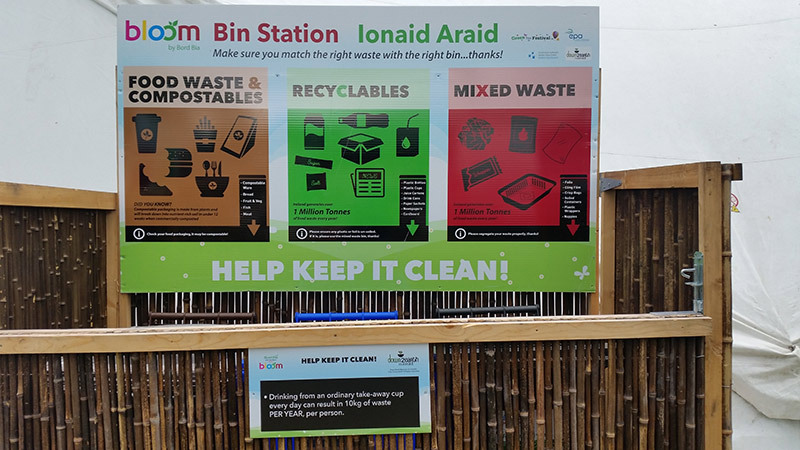 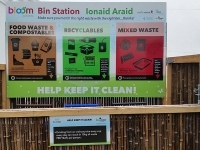 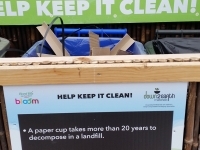 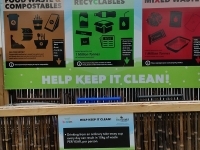 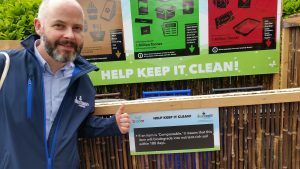 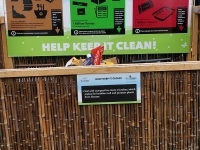 We put some eco facts and figures together, and placed them across all the compost bins on site, so you could learn a little something while you binned your rubbish. 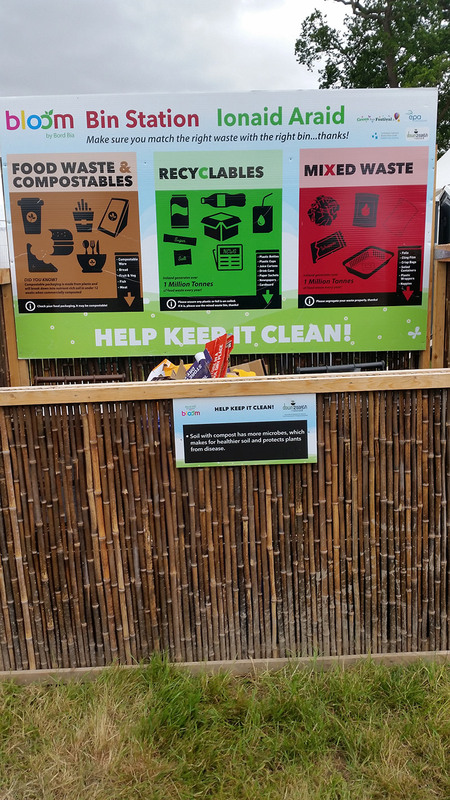 Just a gentle reminder to all of us that compostables are an excellent and viable alternative to plastics, we think they turned out really great. 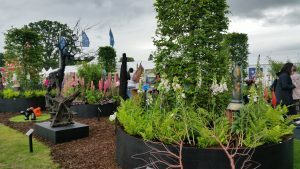 We also were thrilled to be invited to speak on the Garden Stage on Day 1 of the festival. 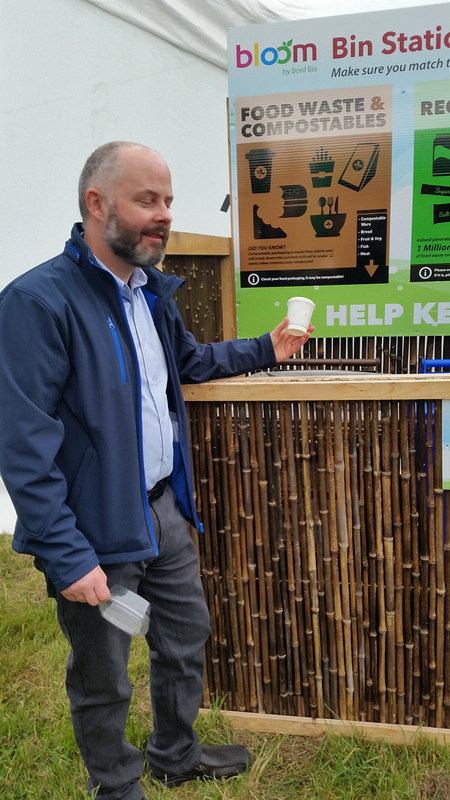 We were in great company, surrounded by gardening and composting experts during the day’s programme. 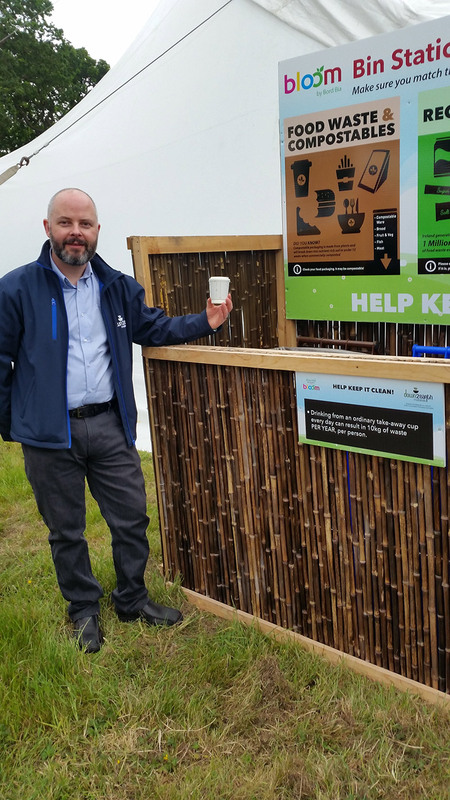 Our Recycling Consultant John Lynch gave a great presentation if we do say so ourselves, about the differences between biodegradable packaging and compostable packaging. 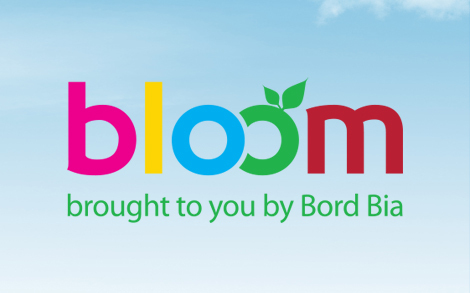 Bloom is Ireland’s largest gardening, food and family event, launched in 2007. 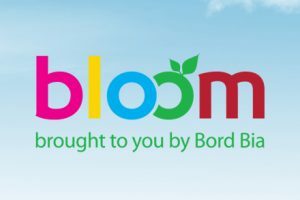 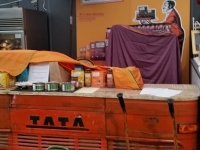 Bord Bia’s wider remit across food, drink and horticulture, has enabled the development of this amazing consumer show, that truly engages the public. 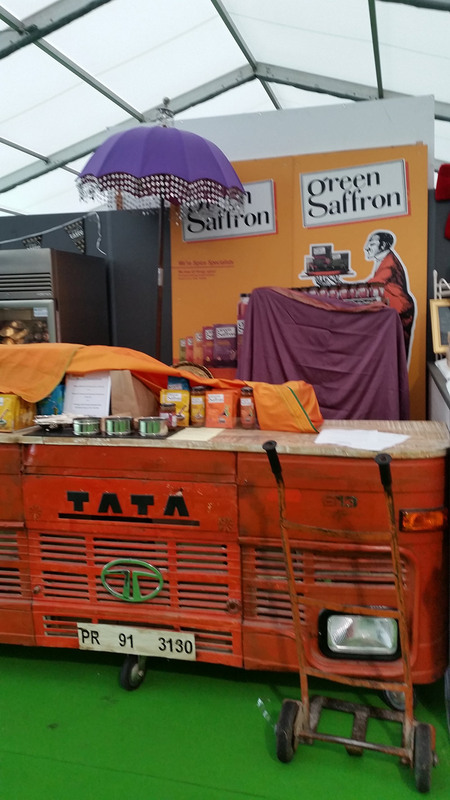 Artisan food vendors and top chefs provide demos and treats across the weekend, including some of our amazing Down2Earth customers. 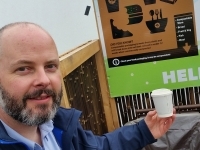 We get to catch up with them each year, and to sample their latest bites, it’s a win-win! 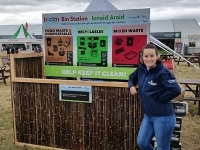 We can’t wait for next year already!